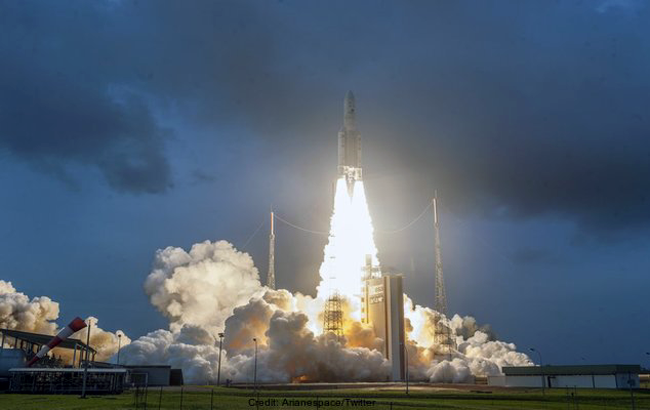 Bengaluru, Dec 5: India's heaviest, largest and most powerful satellite GSAT-11 was successfully launched by an Arianespace rocket from the French Guiana early Wednesday morning. 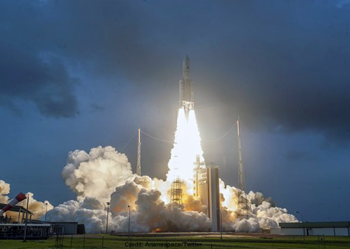 Blasting off from the Ariane Launch Complex in Kourou at 0207 hrs Indian time, the Ariane-5 vehicle injected the GSAT-11 into the orbit in a flawless flight lasting about 33 minutes. The satellite will play a vital role in providing broadband services across the country and also be a platform to demonstrate new generation applications. Soon after the launch, ISRO Chairman K Sivan said, "GSAT-11 is going to be the richest space asset for India and it will provide something like 16 Gbps data link services to the country. "The satellite has 38 spot beams as well as eight sub beams, which will cover the entire country, including the remote places. Weighing about 5,854 kg, GSAT-11 will have a lifetime of more than 15 years," he added.